Arlott, John. John Arlott's Book of Cricketers. From Beyond a Boundary to Jonty In Pictures, from	Wisden Cricketers Almanack 1966 to Wisden Cricketers Almanack 1993, we can help you find the cricket books you are looking for. As the world's largest independent marketplace for new, used and rare books, you always get the best in service and value when you buy from Biblio.com, and all of your purchases are backed by our return guarantee. Beyond a Boundary (1963) is a memoir on cricket written by the Trinidadian Marxist intellectual C. L. R. James. It mixes social commentary, particularly on the place of cricket in the West Indies and England, with commentary on the game, arguing that what happened inside the "Boundary Line" in cricket affected life beyond it, as well as the converse. 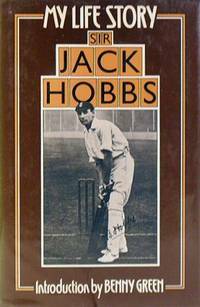 The book is the origin of the famous phrase, "What do they know of cricket who only cricket know?"